In addition to the award of RoR rosettes to the highest placed ex-race horse in our competition schedule, the RoR Riding Club Challenge League will run alongside our normal Dressage League with points awarded and accumulated in the same way as the league (1 point for every competitor achieving 60% in a dressage test or over and up to 1 – 5 points for any placings 5th to 1st). The RoR League will also include the Combined Training Summer Show Series, Show Cross and Hunter Trials. 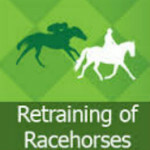 Members with ex-racers just need to declare their RoR numbers when entering the competitions for points to be recorded. The Riding Club Trophy and Rosettes will be presented at the AGM. We are also a participating Venue for the ROR Regional League, so if you need your results sheets signed please let the organiser on the day know. Please contact Toni Tait if you have any queries regarding any Riding Club RoR matters.